I could knit hats all day, but ask me to line a hat and chances are I'll never do it. Something about measuring a head, cutting out fabric and sewing it into a hat seems like way too much work. I was recently deconstructing a cashmere turtleneck for another project and was trying to figure out how to use the turtleneck tube. Headband? Too ugly. Hat lining? Perfect. 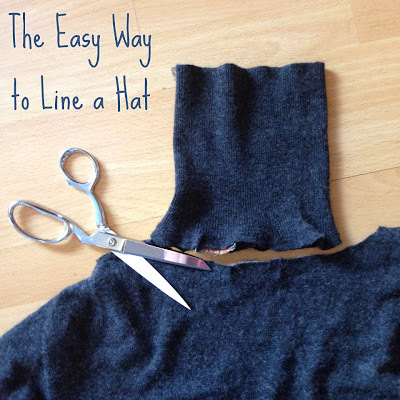 Here's how to line a hat with minimal effort. Just some scissors, pinning and whip stitches. Cut the tube of the neck away from the body of the sweater. I cut below the seam so it wouldn't unravel over time. 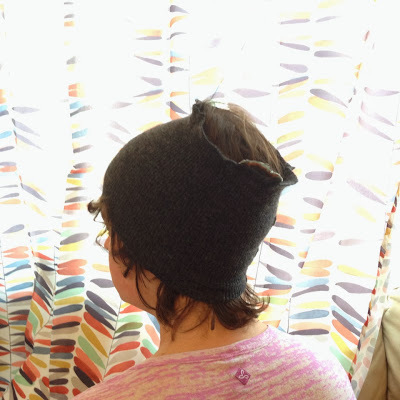 Turn the tube inside out and put it on a head with the seam in the back. Put the hat over the tube and line it up the way you'd like it (if there's a seam to the hat, it should also be in back). Let the hat overhang the tube by 1/4 inch. Pin the tube to the hat all the way around. This way it will remain stretched out as you sew it and won't cause the hat to pucker. Remove the tube and hat from the head and thank your head for its assistance. 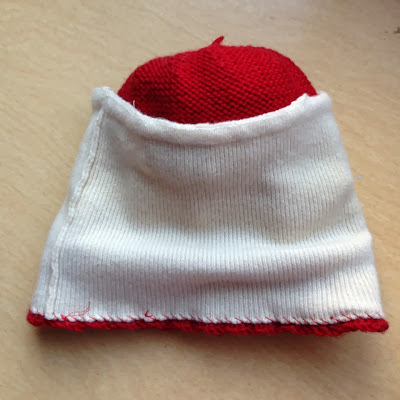 With thread matching the color of the hat, whip stitch the lining to the inside of the hat, trying to sew into the inside knitted stitches so as not to reveal the thread on the outside of the hat. The following photos are from a different hat and turtleneck. That's it! 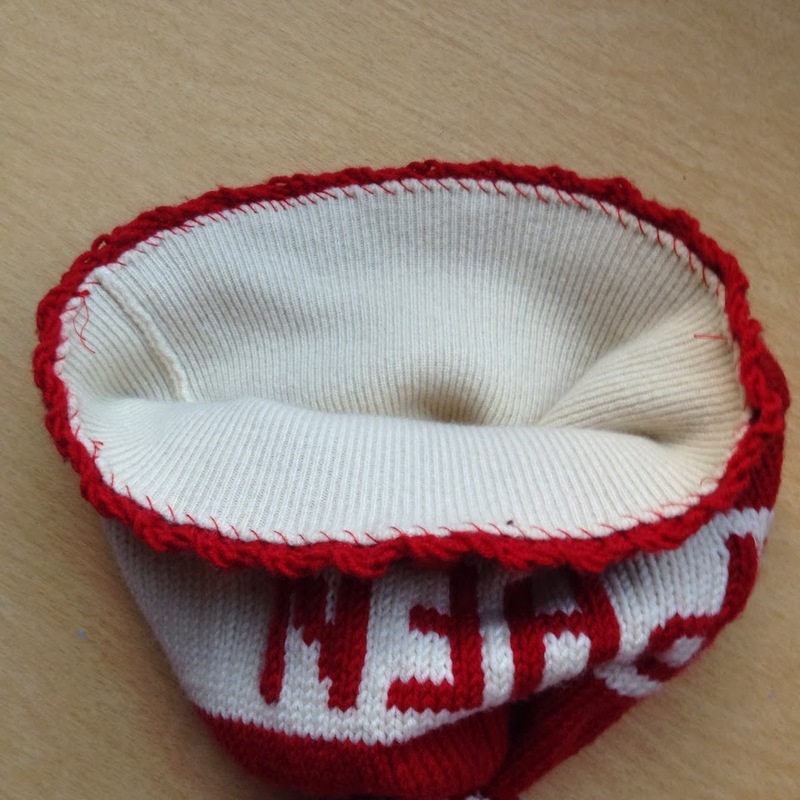 Now your hat is warmer and cozier.